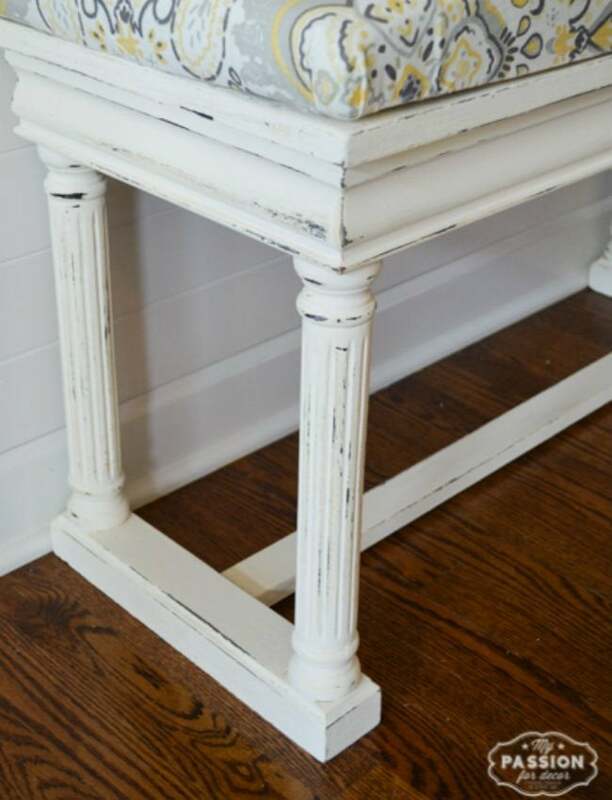 This blogger transformed an old piano bench into a perfect perch for her home. After scoring a vintage piano bench for pennies at a local garage sale, Melody of My Passion for Decor went to work giving it a much-needed spruce. 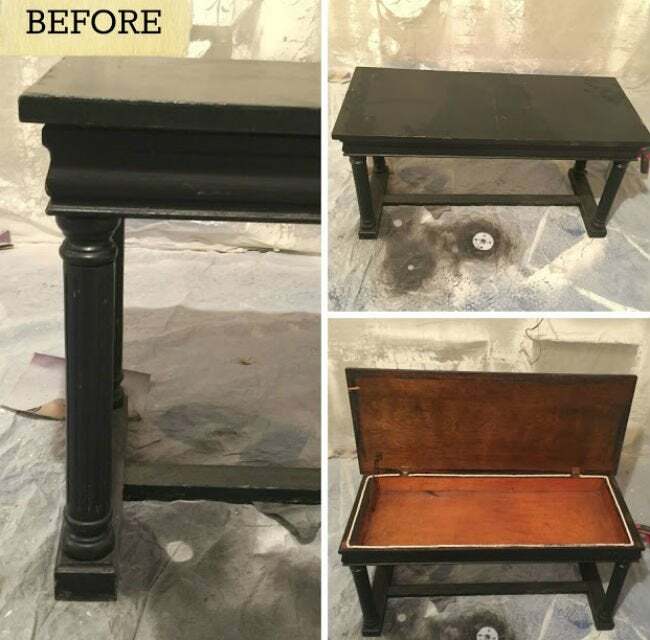 Keep reading to see how a few simple steps made a huge difference for this outdated furniture piece. 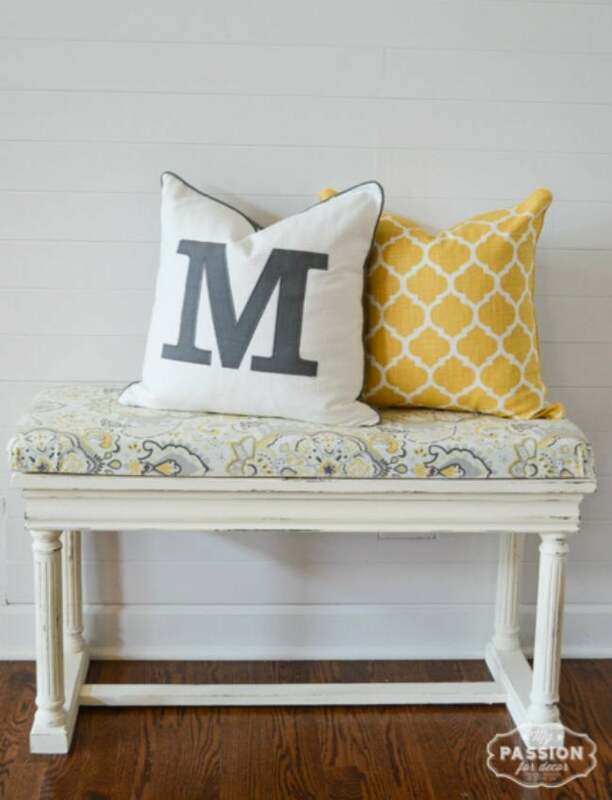 First, Melody gave the bench a few coats of white paint and distressed it in a few areas to add interest. She also wanted to give it an element of coziness, so she decided to upholster the top using a piece of spare wood, foam batting, and fabric she found on sale. After completing the new and improved seat, she attached it to the bench top using screws, and displayed the project proudly in her home. For the all of the details for this project, and for more charming DIYs, visit mypassionfordecor.com.